Jill is a friend of mine. She’s a delightful woman who always has a smile on her face and is always ready to lend a hand. And she runs an excellent monthly book club discussion. Please tell us a little about yourself. I’m a 65 year old grandmother, very engaged in community service. I read 3-4 books at a time, switching between them like programs on a tv. I read a little of everything, fiction and non-fiction. I also moderate a book club in my neighborhood, with 8-40 attendees. We read a broad range of genres. In your opinion, what is the power of fiction? Fiction inspires and informs us. Fiction writers do extensive research for us, and then entertain us with a story woven around the events of the time, whether the events are real or fantasy. Fiction gives us a way to escape, to learn and to dream. What kind of stories are you drawn to? Any you steer clear of? I could never limit my reading to one genre. I need to move between historical fiction, classics, thrillers, murder mysteries, sci fi, fantasy and various non-fiction. I don’t really ‘steer clear’ of anything, although I sometimes find it difficult to suspend my sense of reality long enough to truly enjoy science fiction or fantasy novels for very long. Occasionally, I object to reading too many stories of women dealing with regimes like the Taliban or Saudi Arabia or too many WW2-based stories in a row. I love to read stories with clever plots, complex characters, and interesting themes. What aspects of an author’s writing make you feel like you’re ‘immersed in the novel’s world’ and/or ‘transported in time and place’? Details! The devil is, I’m sure, in the details for an author. But for a reader, details pull our minds into the story. What did the characters find on their dinner plates? What were they wearing? What was the room like that they were in? What smells came wafting in the window? What were the background noises, the music? How did the light hit the scene around the characters? How were they reacting to all those stimulants? Which books read in the past year or so stand out for you and why? Hillbilly Elegy [J.D.Vance]—it says so much about our current culture and societal problems. The Accidental President [A.J. Baime]—I’m from Missouri and enjoyed reading about Truman, our Missouri president. The Girls of Atomic City [Denise Kiernan]—I had no idea that the production of the hydrogen bomb was so big an undertaking and that an entire city was built up to support the research and production—and that it was a huge secret! I also enjoy the writings of a Haines, Alaska writer, Heather Lende. She’s an obituary writer for the Haines and Anchorage newspapers and has published 4 or 5 books now. She has made me eager to spend a month or three in Alaska. How do you decide what books to buy? What influences your book purchases? I am a big fan of several book critics and reviewers. Elaine Newton and Jean Lewis give me a long list of books to look forward to each season! I also read the NYT book review section every weekend and check in with Book Bub and Goodreads online. Is there anything about where you live or your particular background that influences your fiction choices? I have lived, most of my adult life, in big cities, and have lived among many people from other cultures. I enjoy books that let me explore those cultures more and live vicariously with families all over the world, or who have come to the US from all over the world. I’m intrigued with the experience of immigrants and refugees. Is there anything else about reading fiction, the kind of books available today, or the way reading is changing that you’d like to comment on? I embrace technology and read most of my books on my Kindle. I love being able to carry my entire library in my handbag. I love being able to travel with stacks of books to read at the tips of my fingers. I also love being able to find out about new books online. I rarely hold a physical book in my hands and find it awkward now. Travel guidebooks, cookbooks and picture books are really all I have on my bookshelves now. I remember taking a book 20 feet up an apple tree, so that I could rest on a limb, against the trunk of the tree, munching apples and reading up in the leaves. When I was a child, my fondest dream was to live in a library. I have been known to read all night long, only putting my book down as the sun began to light the sky. Oddly, I didn’t read To Kill A Mockingbird until just a few years ago, and it might be one of my all time favorite stories now. Many thanks for your insights, Jill. 3-4 books on the go at one time is too much for my brain!! Looking forward to our April book club discussion of The Great Alone by Kristin Hannah. With over 200 books read each year, Rosie Amber clearly loves to read. She’s 50, lives in the UK and is an eclectic reader and avid book reviewer. In your opinion, what is the power of fiction? For me, fiction provides, escapism, learning, armchair travel and enjoyment. What kind of stories are you drawn to? Any you steer clear of? I prefer well written, well edited and well proofread books. A story with deep point of view, multi-layered characters and ones I can empathise with. I dislike dialogue-led books and stories that are all ‘telling’ and not ‘showing’. Info dumping is also a no-no. I also find an epic cast of characters too many to follow. It can mean that the author has filled the book out with characters rather than developing the main ones and making them of interest. What aspects of an author’s writing make you feel like you’re ‘immersed in the novel’s world’ and/or ‘transported in time and place’. Using deep point of view and multi-layering of characters help. As does a slower drip feed of info, enough to keep me interested. Bringing the characters to life on the page, is a must for me. How do you decide what books to buy? What influences your book purchases? No.1 authors that I already know and like. No. 2 book recommendations from people or book bloggers that I trust. No. 3 books that I find on book blogs. Is there anything about where you live or your particular background that influences your fiction choices? I tend to stick to books from authors who are English, American, Australasian, Western European or from author’s whose primary language is English. Or books written for those markets. If you’re a book blogger or run a book site, please tell us a little about your focus and features. I’m a book blogger, and have run my book review site for 7 years. I have a team of around 20 reviewers who read and review for the site. We can offer the possibility of multiple reviews for a book. Reviews will be posted on a minimum of 2 sites, they include, Goodreads, AmazonUk, AmazonUS, reviewers blogs and a copy also is posted on my own blog. We review books across a wide range of genres. We pride ourselves on giving honest, unbiased, balanced reviews, which means that we do not guarantee that all our comments will be positive; however, any criticism will be constructive. We promote book reviews on Twitter each Tuesday encouraging the book community to use #TuesdayBookBlog – it trends regularly. If there is anything else about reading fiction, the kind of books available today, or the way reading is changing that you’d like to comment on, please do so. Publishing a book has been made easier with self-publishing and e-books. But any book should still be of the very best an author can make it, with multiple drafts and edits. Writing a book is hard, marketing and selling it can be harder. Never rush to publish. Many thanks for sharing your thoughts on reading, Rosie. You can find Rosie at her blog Rosie Amber, which offers clear and succinct reviews in a variety of genres along with a rating for each novel. 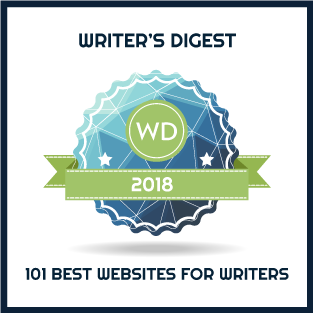 Rosie’s site has been awarded a Top 100 UK Book Blog designation.